As the lucrative deal caught the attention of many tech giants, it also sparked controversy as many company employees questioned the ethical implications. Microsoft announced on Friday that the company was standing by its decision to bid for “JEDI,” a U.S. government project aimed at redesigning the digital infrastructure of the Department of Defense, despite pushback from company employees. 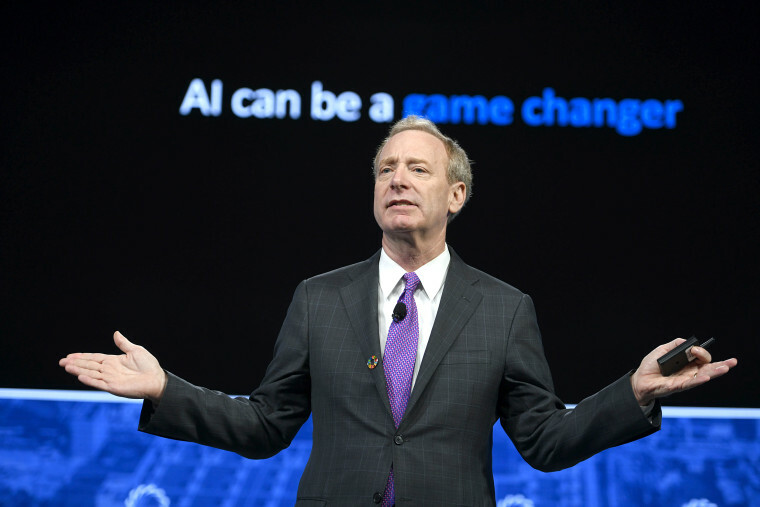 Brad Smith, president and chief legal officer of Microsoft, explained the company’s stance in a blog post. In July, the Pentagon opened bidding for a $10 billion dollar contract called “JEDI,” short for Joint Enterprise Defense Infrastructure. The government contract called for a collaboration with a tech company that would revamp the the information technology hardware, software, network resources and services of the Department of Defense. As the lucrative deal caught the attention of many tech giants, including Amazon, Google and Microsoft, it also sparked controversy as many company employees questioned the ethical implications of the possible collaboration. In October, Google announced the company would cease efforts to win the multi-billion dollar contract, stating that parts of the “JEDI” project would not align with their “principles” after more than 3,000 employees protested the idea of Google’s technology being utilized for warfare. “We believe that Google should not be in the business of war,” read a letter addressed to Sundar Pichai, Google’s chief executive officer, and signed by company employees, according to The New York Times. Amazon and Microsoft employees have also protested collaborations with the government, but both Jeff Bezos, CEO of Amazon, and Satya Nadella, CEO of Microsoft, are still vying for the “JEDI” contract despite internal pushback. In October, Microsoft expanded its cloud service, Azure, in order to better assist their government clients, contributing to the company’s efforts to secure the government contract.